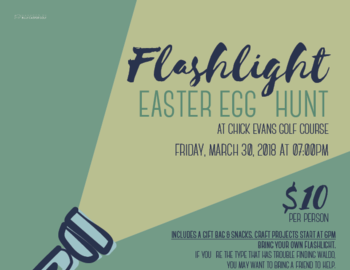 I hope you can join us for our first flashlight Easter Egg Hunt on Friday, March 30th at 7pm. We'll be having a small crafts tables for the little ones starting at 6pm. Only $10 per person...we hope you can join us.